Take to the skies with one of our flying experiences and view the world through an aerial lens. You could soar to new heights in a helicopter, float away hot air ballooning, go skydiving or even learn to fly a plane. 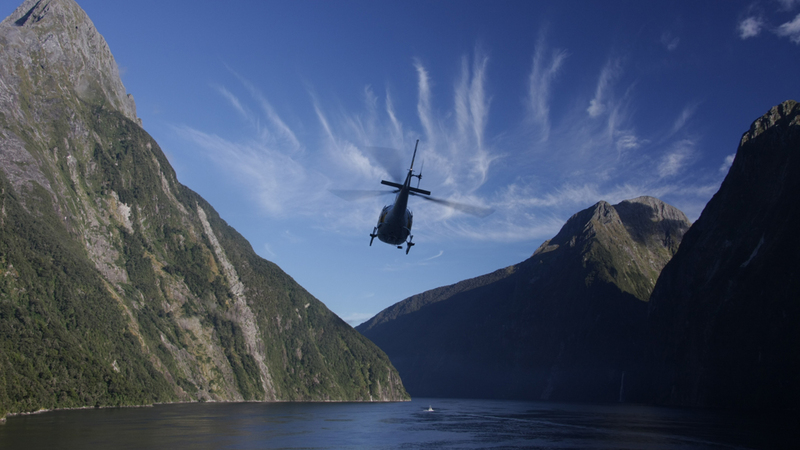 There is no better way to experience New Zealand and take in the beautiful scenery then with a flying experience. Whether it's a bucket list goal or you're visiting the country, our flying experiences will give you a truly unique perspective and viewpoint to see the majestic landscapes, snow capped mountains and stunning oceans below. The Fox Glacier and Mount cook helicopter flight is the perfect scenic flight to see amazing views but you also get to do a high alpine landing in a stunning white snowfield. Take your flying experience a step further and learn to fly. You'll be able to take control and fulfill your dreams of being a pilot for the day. Why not take your flying adventure to the next step with a tandem skydive. With up to 60 seconds of incredibly freefalling, our skydiving Queenstown will give you the ultimate rush. Don't worry if you're after something a little more relaxed, we've got experiences for that too. Enjoy the breathtaking scenery with hot air ballooning and breathe in the still, crisp early morning air. Whether you're a local who wants to see their beautiful country from a great vantage point or if you're visiting from abroad, our flying experiences as something for everybody.